It's a known fact to my Twitter-followers I am not fond hate UGGs and that I keep on calling them #UglyUGGs (the #, called hashtag, is something typical Twitter-like to make searching for some topics easier). 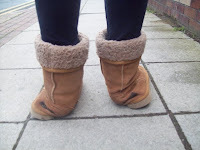 I think #UglyUGGs are the worst things in fashion over the last years. Well... together with skinny models. 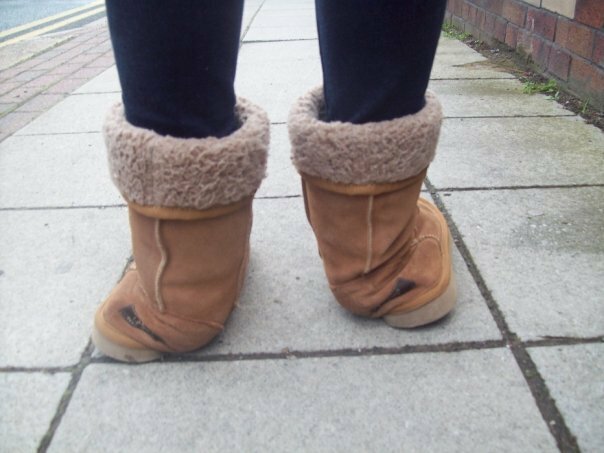 They look horrible (both the models and #UglyUGGs), they are bad for your feet (so are high heels, but at least these look good on a woman) and if they get wet they will not keep you warm at all, no worse they'll cause influenza because of wet cold feet! So WTF is the advantage, why are women wearing these horrible things? Because they are so comfortable and warm is the most heard answer. Warm? But once they get wet? Which could happen in winter (especially in the Netherlands). Then you end up having soaking wet and cold feet all day! Comfortable? Ow so you girls walk on heels and other fancy shoes because they are comfortable? I don't think so, most women just buy shoes because they look nice, or make them look nice. Which is absolutely okay! I like to look at women (what an eye-opener this must be for some people), I like to see women with nice shoes or boots. Especially with heels, it makes their legs look even better. But hey, if you want to feel comfortable, no problem at all! But why does comfortable needs to be horrible and ugly? There are many many comfortable, warm and still great looking (and CHEAPER) alternatives! The point I wanted to make is: #UglyUGGs are bad for economy! Today in a short twitter discussion between me and two (until last week completely unknown to me) women concluded that #UglyUGGs are probably the best contraception there is! And likely to be allowed by the Church as well: they cause absolute sexual abstention! And that is what makes them bad for economy! In today's crisis we need people to spend and we need as much people as possible working to pay our future pensions, so children are a must! 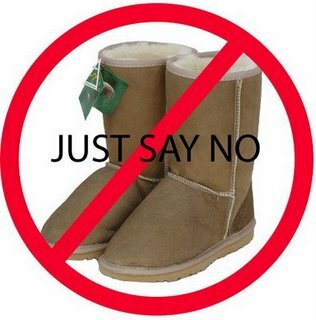 So if you want to get your economy going: STOP buying #UglyUGGs! Don't forget Crocs as "really bad fashion item" in the last years. They're a few years older, but just as ugly! In the video below Stuart will explain more about this and why you are in the right place at the right time and how you can benefit from transitioning across to the digital Economy. We don't need no #TVOH !